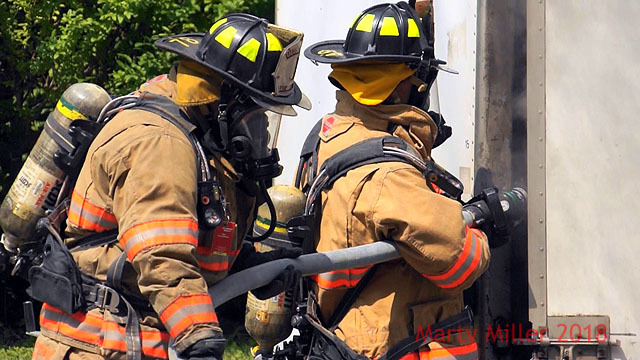 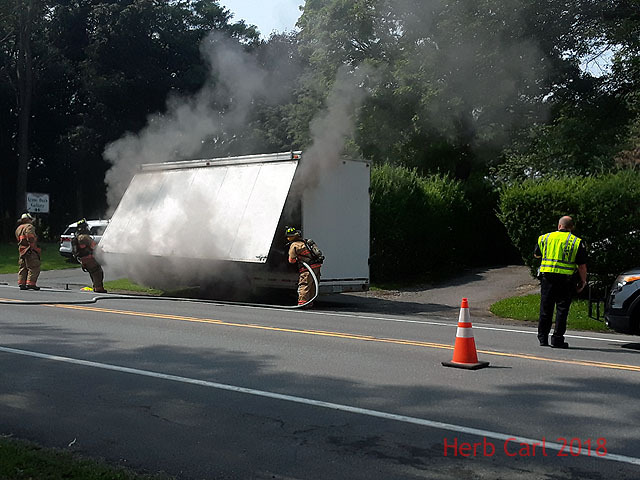 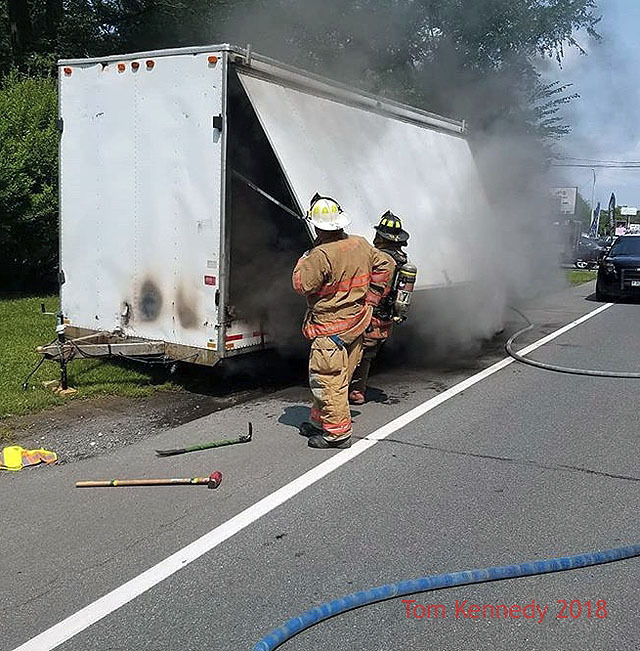 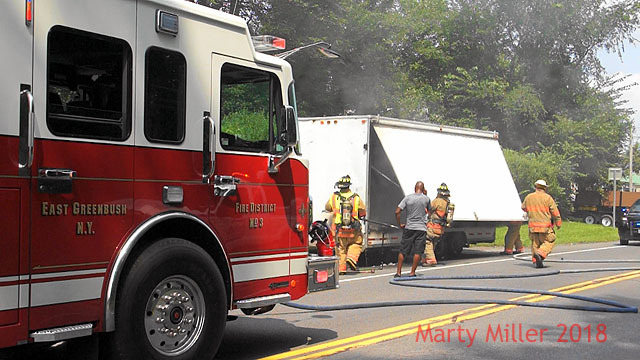 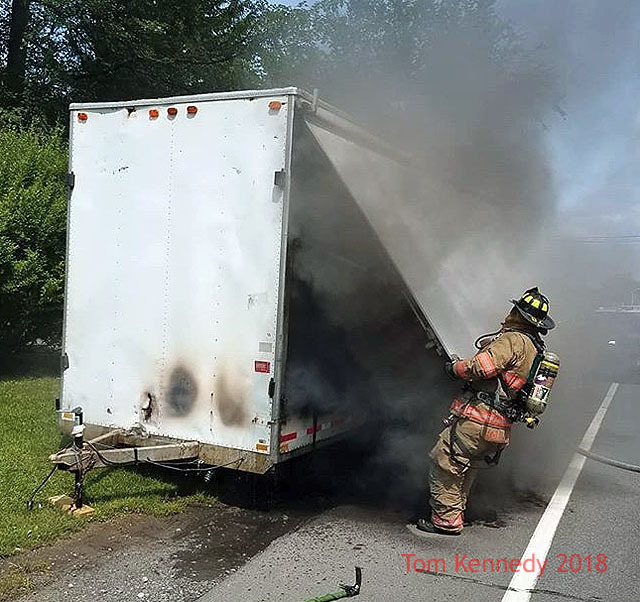 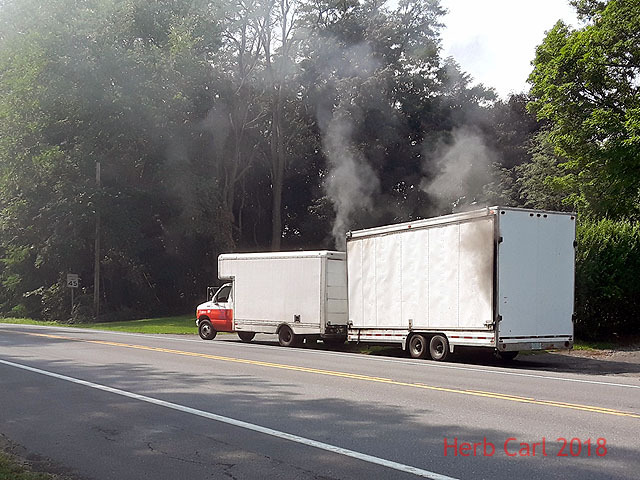 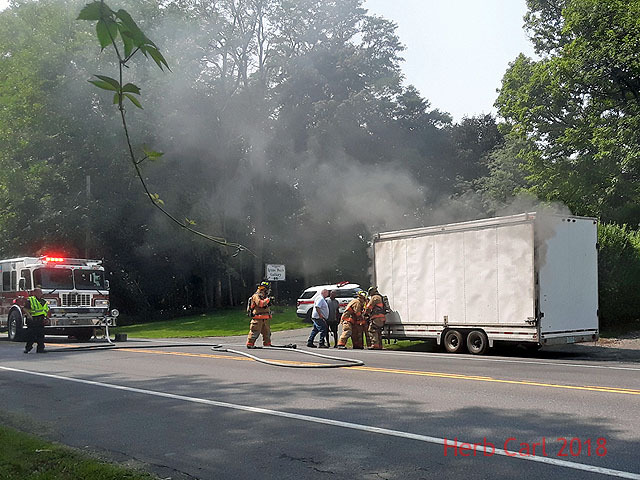 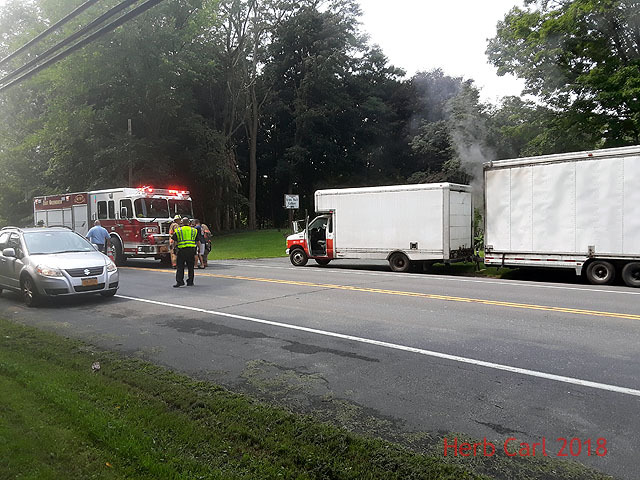 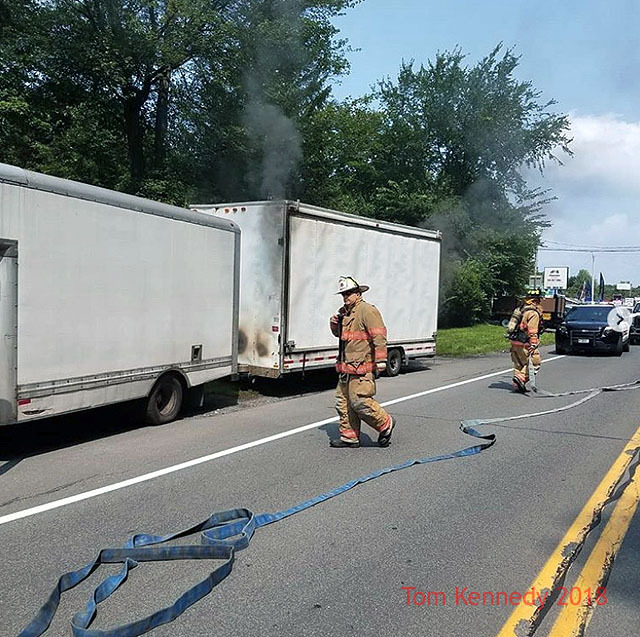 A little action for Station 11 (East Greenbush FD) & EGPD on Route 4 a short time ago, with an assist from the Bruen Rescue paramedic in locating the fire. 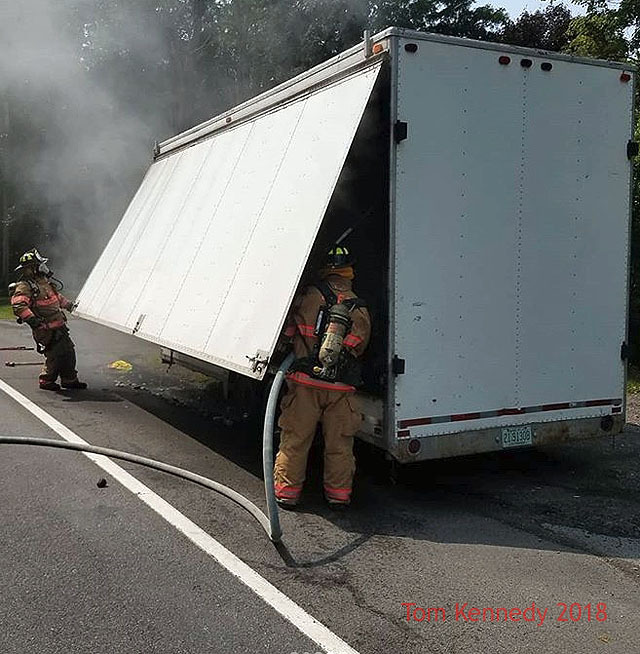 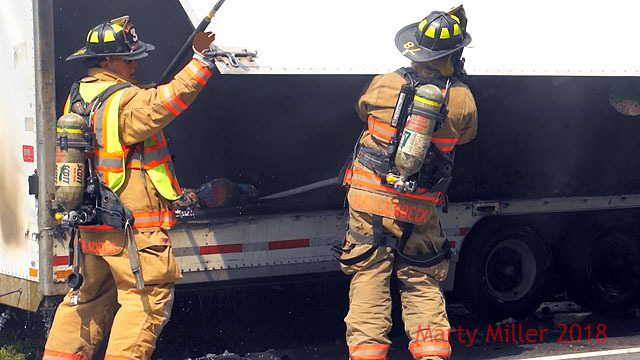 The fire, first reported on I-90, was actually located several miles away once the vehicle was stopped. 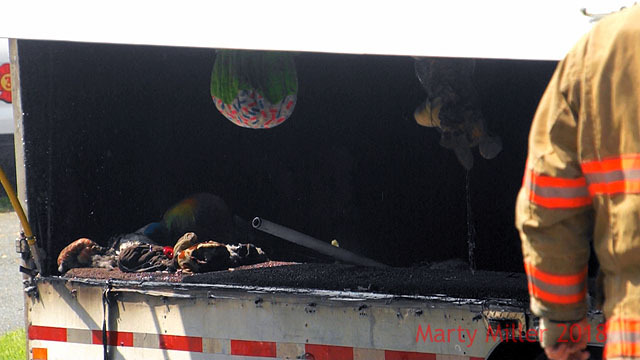 The trailer was carrying stuffed toy animals enroute to the Chatham fair.